Matt was a sensational performer! Would highly recommend working with him and scheduling a performance. 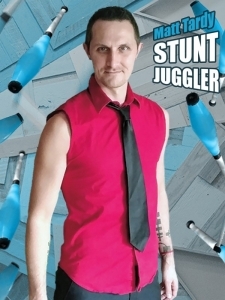 Our audience was so impressed with Matt's world-class juggling, high-stakes stunts, and even fire juggling! He was extremely professional, timely, and had excellent control of and engagement with the crowd. We loved his show and will hire him again!